Looking for pool leak repair services in Georgetown? Blue Science of Austin offers trusted detection and warranty backed repair. Why use Blue Science for Leak Repairs? We provide the most thorough leak detection checks of any company in the Georgetown area. We have 10+ years experience with swimming pool structural repairs (we know how Austin pools are built). We use the most specialized and advanced equipment available today to pin-point your water leaks. Our pool leak detection is a flat rate for most pools and pool/spa combinations. What is our leak detection warranty? We warrant our leak detections for 45 days from the day the leak detection is performed provided that our customers approve the necessary repairs to be performed by us. If another company other than Blue Science is hired to perform the repairs then we are unable to provide a warranty on the leak detection. Please note: It is the customer's responsibility to notify us if the pool continues to leak after any recommended repairs have been completed. How do I know if my pool is leaking? We recommend performing this test before spending money on a swimming pool leak detection. Bucket Test: This is a simple test where a bucket is placed on the top step in a swimming pool. Many pool service companies will fill the water in the bucket to the same level as the pool. We like for the bucket to be filled to within an inch of the top with water. This higher water level in the bucket will help prevent it from floating away. Once the bucket is filled to within an inch of the top with water, the water level inside the bucket should be marked. The outside of the bucket should then be marked to the water level of the swimming pool. Run the pool equipment under normal operation for 24 hrs. to see if there is a greater change in the pool water level then the change in water level inside the bucket. If the change in water level in the pool is more than the change in the water level in the bucket, then the pool is losing more water than is caused by evaporation. How do I fix my leaking swimming pool? 1. Testing for Leaks: We perform a leak detection on your swimming pool for a flat rate. The rate for leak detection includes the leak detection only, all repairs are quoted separately. We will determine where your swimming pool is leaking and give you a quote for a repair of the leaks we find. 2. Leak Repair: Upon receiving approval of the quoted repair cost, we will perform the pool leak repair typically within a few business days. What if I have more than 1 plumbing leak? Usually we can find and fix a leaking pool with one leak detection. However there are cases where a swimming pool has more than one underground plumbing leak and a secondary leak detection is needed. In this scenario we may not discover the secondary leak if it is small until the primary plumbing leak has been repaired and the plumbing lines have been pressurized to verify if they hold water. Every time we perform an underground plumbing repair the line is retested to ensure no additional leaks exist on that specific line upon completion of the repair. 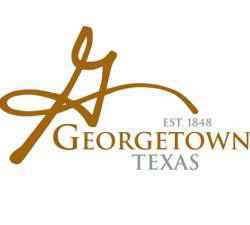 Today the city of Georgetown currently has around 49,500 residents living within 24.9 sq. miles. The city has many unique features that distinguish this city from all others like inner space caverns, lake Georgetown , and the beautiful San Gabriel river. Georgetown also has many unique small businesses, restaurants, and great golf courses. The residents here in Georgetown have made our transition to this area great by offering a smiling face and friendly atmosphere to our company. When providing pool repairs and equipment installations in Georgetown, we use only supplies and parts from top pool companies.